We went up to the Boardwalk this week to meet Rob's parents and had some fun. 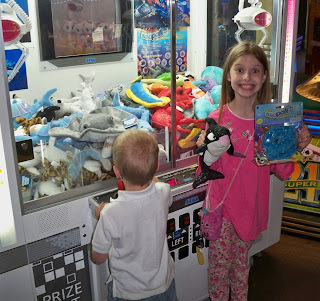 The kids had a great time playing games in the arcade. Miss E managed to get two stuffed animals out of one of those "grabby games" which was very exciting. Mr. M found a game he thought he would try, he ended up hitting the 250 tickets hole! Then he got it again! 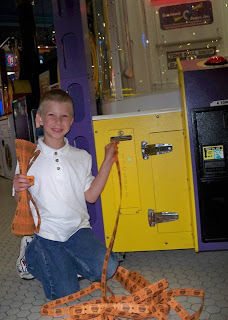 Yep, he managed to get 500 tickets from that game! After that we walked down the Boardwalk a bit and stopped to check things out. The candy store was a hit. Salt water taffy and giant gummy bears! Rob took Miss E, Mr. M, and Mr. S down to the beach to play for a bit (Mr. R and Miss J are not fans of sand and wanted to stay out of it). 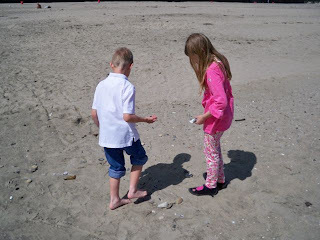 They found some shells and even some dead sea critters (looked like maybe hermit crabs? I did not look very closely though). 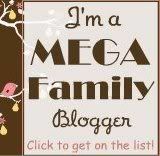 After stopping to look at the bumper cars and carousel we went to buy tickets to ride them. Miss J told me "horse pretty, me ride" but we were not too sure she would go through with it, so we had her watch. As soon as it stopped she said "me ride now! ", so Rob took her. She was so happy and loved every moment of it! 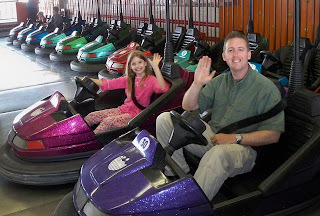 The bumper cars were a hit too. Mr. S and Miss J were too little to go on them, but they had a great time watching while everyone went around the track bumping into each other. 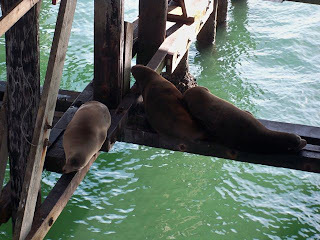 After that we walked down the pier, so some sea lions and then had dinner. 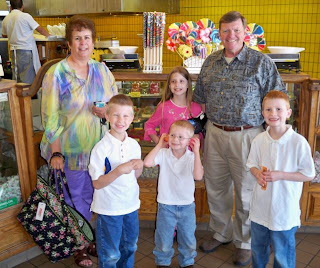 It was a fun day and a nice visit with G'ma and Grandad. As soon as we got home I noticed a nasty fishy smell, I thought it was odd. The next morning it was even stronger and I was having such a hard time figuring out what it could be. 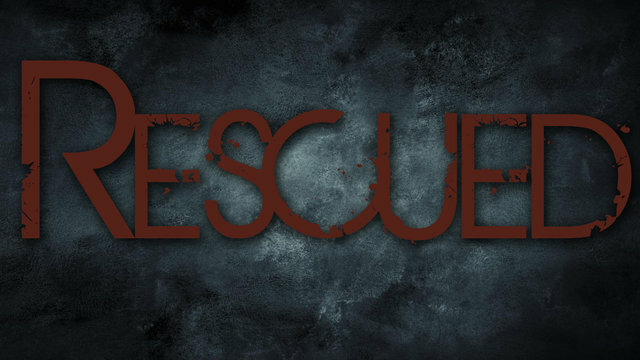 The house was clean, I had not cooked fish in a long time, the garbage had been taken out.... What could it be? I opened the windows and that helped, but it was chilly so I had to close them after a short time. At breakfast the kids were remembering the fun they had had and Mr. M started talking about his (dead)critters he had found and it was too bad that they were already dead or we could have cooked them.... Then it clicked! Me- You didn't bring them home did you? Me- Oh that's what that awful smell is! You were not supposed to bring those home! Go throw those away. We all got a good laugh out of that, and I felt so much better having discovered (and taken care of) the mystery smell. I was pleased to see how little the Boardwalk had changed since I was a kid. 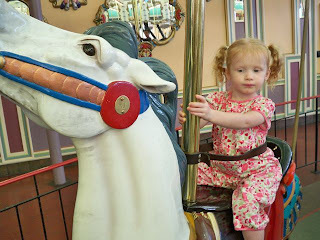 I love the carousel with the little rings that you grab and throw at the target.